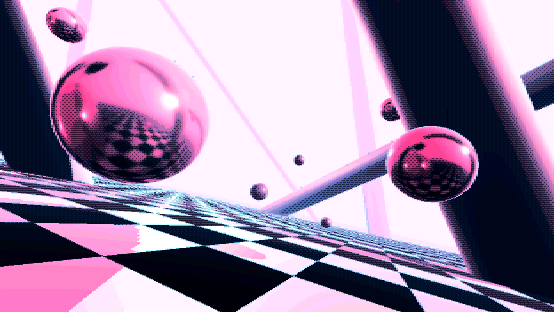 Some image effects and shaders to achieve a retro look in Unity. Dithering: Lets you set any dithering pattern you want, defined as a pattern image. You can adjust the strength and treshold. Resolution downsampler: Force the final resolution to a defined resolution. NOTE: It will work great with a fixed resolution but will produce varying results with arbitrary resolutions. i.e. the pixel size won’t be consistent and might look less (or more) pixelated depending on the size. It is most likely possible to calculate some ratios to enhance the results. Posterize effect: Color quantization, nothing too fancy, quantizes linearly. Non-linear quantization would be a nice feature to achieve different looks.